As you may know, the mission of JNC Better Living is to provide products and services to help people live a healthier, happier, longer life. doTERRA Essential oils fit perfectly into this platform and I signed up almost immediately, upon discovering them, about 7 months ago. In addition to being a doTERRA Wellness advocate, I have a degree in Fitness, Recreation & Leisure, I’m a certified nutrition coach, a Lean Sigma Greenbelt, and an avid yogi. Historically, I was previously not a supporter of dietary supplements, because the industry, as with essential oils, is not regulated by the FDA, and there are so many product claims that cannot be trusted. Several friends recommended them to me, and when I researched them, I found that the quality of their composition completely align with my nutritional training! Based on my personal experiences, and those of my friends & family, I fully endorse these supplements for everyone, and am thrilled to share my experience with you today! After using the product for 30+ days, I started to see a tremendous improvement in my digestive & cardiovascular health which has effected me for the last 5 years. I felt so good, in fact, that we bought them for each of our kids, my mom and started spreading the word that these supplement are amazing. After trying it, my daughter said she felt so much healthier, particularly when she was on the road and eating fast food. Two of my friends, who are twins, tried them and said it eliminated their edema, an issue they had struggled with for years, they helped another friend lose weight, and it also helped my mom by uplifting her mood, which she has struggled with since my dad’s death several years ago. The combination of these three supplements contain essential nutrients, metabolism benefits, and powerful antioxidants designed to help promote energy, health, and lifelong vitality. They are gentle on your stomach and do not contain genetically modified material or dairy, and there is even a vegan option. There are 3 different supplements, each one providing a set of nutrients, that when combined, covers your bodies requirements to ensure that it has what it needs to function properly. First, there is XEO Mega, which is a blend of omega fatty acids and essential oils. It includes Clove, Frankincense, Thyme, Cumin, Wild Orange, Peppermint, Ginger, Caraway, and German Chamomile and 800 International Units of natural vitamin D and 60 IU of natural vitamin E.
Second there is Microplex VMz, a blend of vitamins and minerals including calcium, magnesium, zinc, selenium, copper, manganese, and chromium, as well as a whole-food blend of kale, dandelion, parsley, kelp, broccoli, brussel sprouts, cabbage, and spinach, stuff we never get enough of, even though our grandparents encouraged us to eat our veggies. Why are all these important? Well, the human body cannot make fatty acids, most vitamins or minerals. And because they are required for your bodies systems to function, if you do not consume them through your diet, your body will eventually start to break down and, in fact, NOT function. What do the components of these supplements do? 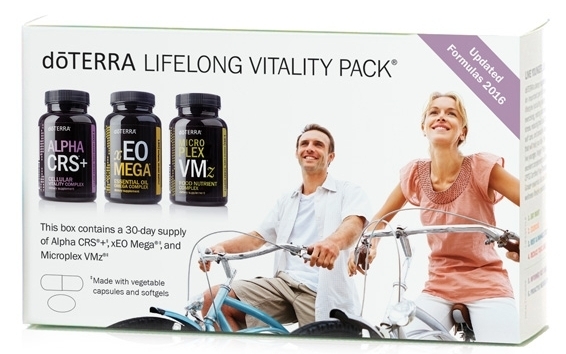 Fatty Acids found in XEO Mega are building blocks of fat. Fatty acids help your body to digest fat soluble vitamins, A, D, E & K.
Omega 3 Fatty Acids are normally found in fish like tuna, salmon and mackerel, and unfortunately not prevalent in the US diet. They play a critical role in the structure and function of cells. They help prevent of heart disease by lowering blood pressure, preventing blood clot formation, and reducing inflammation. Increased consumption of omega-3 fatty acids has also been shown to have a positive impact on joint health and mobility, and on skin health. This supplement Promotes heart and circulatory health*, Supports healthy joint function and comfort*, Provides immune-boosting nutrients*, Promotes healthy skin and supports healthy function of the brain, eyes* and nervous system. The vitamins and minerals found in Microplex VMz help protect our bodies from the typical deficiency in our modern diets. It provides 22 essential vitamins and minerals to support normal growth, function, and maintenance of cells* including a balanced blend of vitamins A (Essential for cell renewal and repair, and defending against UV damage), C (Essential for Collagen Production, and a Powerful antioxidant), and a complex of B vitamins (Essential for regulating sleep, mood and appetite, metabolism, energy and brain and nervous function) and vitamin E (which Defends against free-radical damage and supports healthy levels of anti aging). It also contains calcium, which regulates new skin cell production and calms nervous function, magnesium, which relaxes muscles and calms nervous function, and zinc, Important for collagen formation, tissue healing, inflammation reduction and redness. Microplex VMz is also formulated with a digestive enzyme blend of protease (break down proteins in digestion), lactase (digesting dairy), lipase (helps your body absorb fats), amylase (needed to digest carbohydrates), among others. This comprehensive array of vitamins and minerals is essential for normal growth, function, and maintenance of cells, and also contains a tummy tamer botanical blend of Peppermint, Ginger, and Caraway to calm the stomach for those who may have previously experienced stomach upset with vitamins or other supplements. Alpha CRS, a Complex containing powerful extracts from pomegranate, grape seeds, turmeric root, and milk thistle, boswellic acid, which support healthy cell function*, along with Ginkgo biloba that supports mental clarity and coenzyme Q10, supporting cellular energy. These have scientifically validated benefits, which support cellular functions that can deteriorate as we age. What are these supplement good for? Everything! They help your body at a cellular level to function as it is supposed to, because it is getting everything it needs to perform its job. It is like taking care of your car…. You need to give it Gasoline, windshield wiper fluid and motor oil. If you don’t care what you put into it, you will end up bringing it to the junk yard, because it stops running for you, but if you give it Premium Gas, change the oil regularly and put in wiper fluid so you can see, it will serve you well for a long time. Sign Up With doTERRA & Get Wholesale Pricing! The recommended dose is to take four capsules of each per day. That is a total of 12 capsules. I have found that some people can get away with a half dose, depending on your body type and typical eating habits. I have more than 10 people on my team that are taking these, and this is growing in number as we all see the amazing benefits and share with one another! Positive results generally start to be visible within 60 days! Try it and start living a happier, healthier, longer life! Click below to get a free download, just for stopping by!